H.W.Hyde & Son was founded in 1926, the year the first woman swam the English Channel. 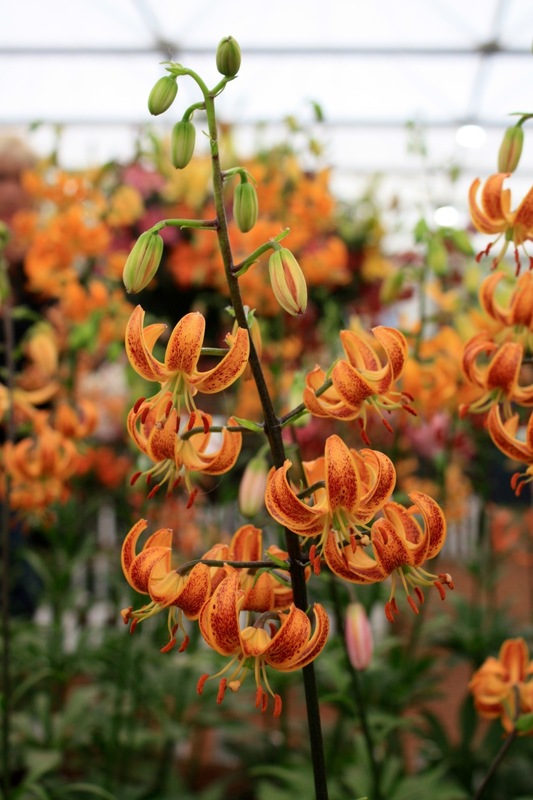 In honour of the 100th Chelsea Flower Show the specialist lily grower showed 100 new varieties, some of which still awaited naming. Among them were a glorious array of martagons, a woodland species which requires a humus-rich alkaline soil to grow well. One of my two favourites was L. martagon ‘Tobacco’ with marmalade coloured flowers liberally splashed with russet. Better for your health than smoking and smells sweeter too! Me too. Wondering if I could grow it in the shelter of a wall……. Always worth a gamble, what’s the worst that could happen? Overplanting! It’s my worst habit. I have been visiting big gardens all week, which is not helping in the slightest. There’s always room for a little ‘un!